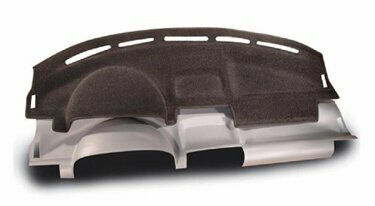 Custom Molded Dash Covers from Coverking are offered in several colors. The material used is a special Poly-Carpet with molded backing. It is guaranteed for life not to lose its shape or color.